On the Go with Robin Hill School! The First Day of School; The Playground Problem; Class Picture Day; Dad Goes to School; First-Grade Bunny; Wash Your Hands! Robin Hill School fans are sure to adore this charming carry-along Ready-to-Read boxed set with six sweet stories! The students in Mrs. Connor’s class love to read, but they enjoy reading with you even more! 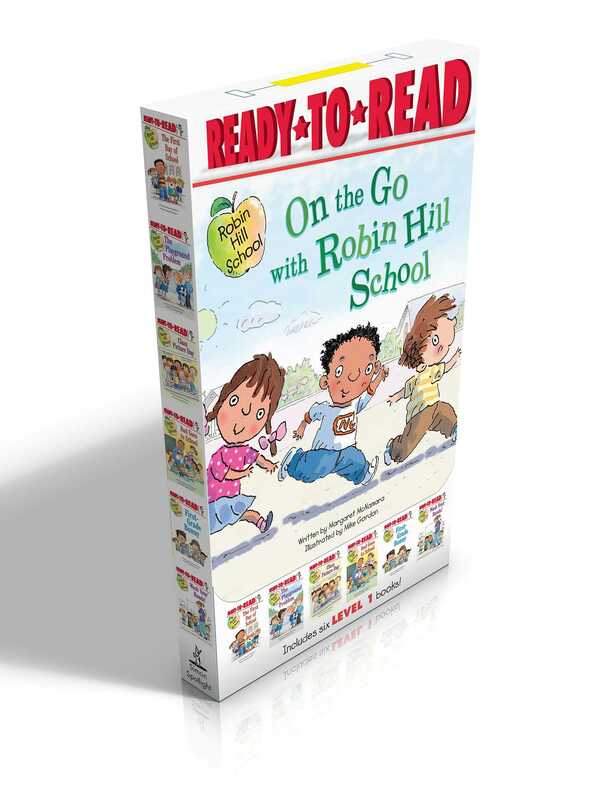 Take six of your favorite Robin Hill School stories on the go with this boxed set that has its very own handle. This entertaining collection that beginning readers will love includes: First Day of School, Wash Your Hands, Dad Goes to School, Class Picture Day, The Playground Problem, and First-Grade Bunny. Book Cover Image (jpg): On the Go with Robin Hill School!